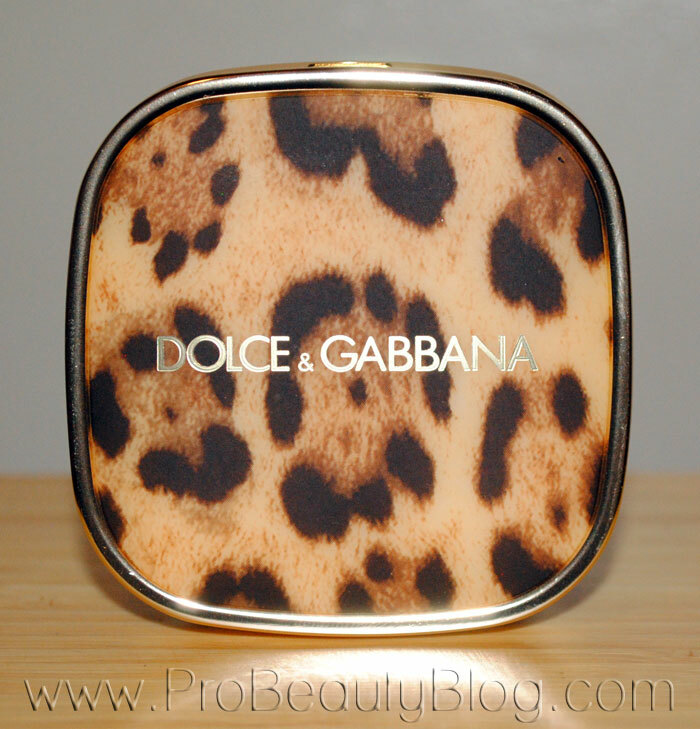 AMOUNT OF PRODUCT: 4.8 g.
PACKAGING: Four eyeshadows in a leopard print and gold compact. Has in interior mirror. SIZE: A little shorter than a deck of cards. CONSISTENCY: She shadows are decadently smooth, creamy, and silky. COMPANY DESCRIPTION: EXCLUSIVELY AT SAKS. Incorporates opulent shades for lips, eyes, nails and complexion, encased in specially created leopard print packaging, adding a new dimension to the irresistible luxury of Dolce & Gabbana makeup. The palette is inspired by the colours of the original leopard print, while touches of glistening gold and fiery red provide the perfect dramatic accents. Made in France. 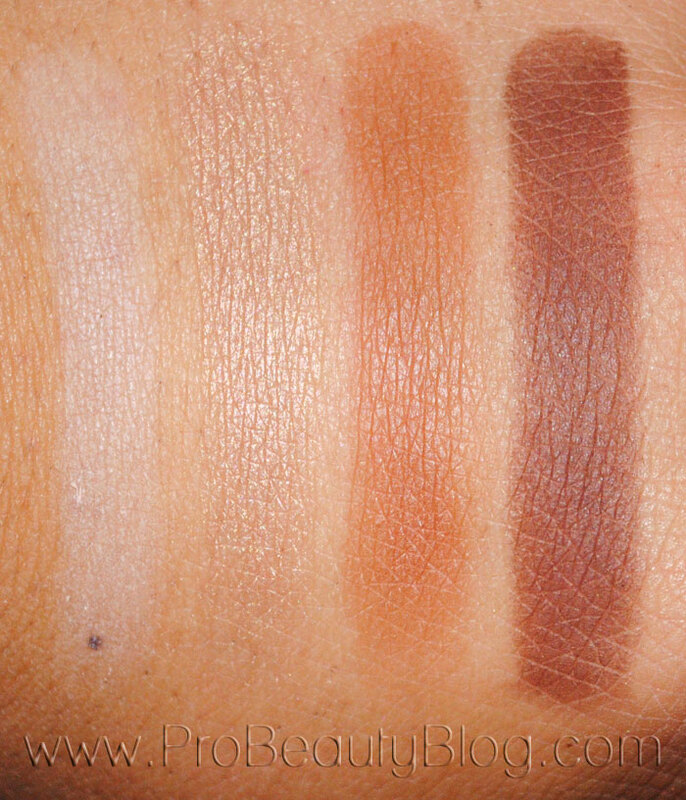 This quad contains 4 amazingly pigmentend and silky-smooth eyeshadows. 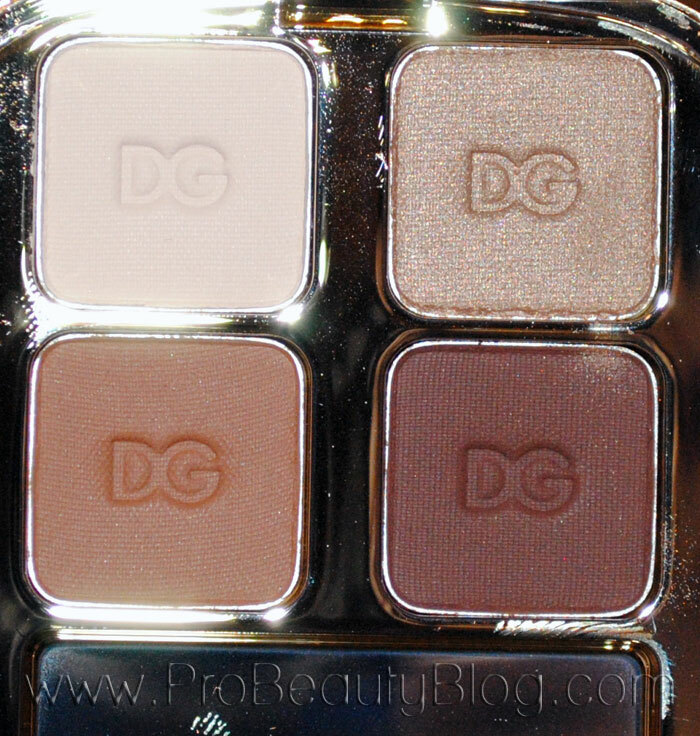 I love that all of the eyeshadows are neutrals and on the warmer side. Being that most of my work is doing “natural” and “neutral” looks, I will get a ton of use out of this quad in my kit.